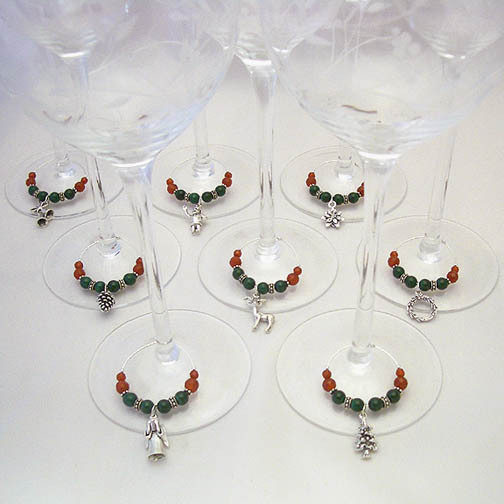 Malachite & Faceted Carnelian Wine Rings with Sterling Silver Bali Beads on Silver Wire. Choose from a Christmas Tree, Pointsetta, Wreath, Santa Claus, Silver Bells, Praying Angel, Pine Cone, and Rudolph the Red Nose Reindeer. All charms are Sterling Silver.